Cos-play is derived from the two words: ‘Costume’ and ‘Play;’ where the practice of portraying a fictional character includes the costume and acting style of the character. Cos-plays have different events to showcase the skills and talent of the cos-player in portraying a chosen character. Cos-players would gather on a said event, but others would have taken advantage of the situation to some for their personal intention. 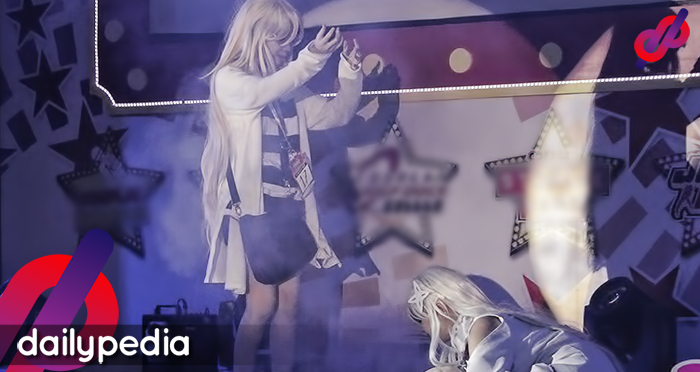 In the event Cos-play Carnival, Luciee Daisuki, a cos-player shared on Facebook her worst experience during the event. As a cosplayer, it was expected of them to be friendly with the fans and fellow cos-players. But then, it was far beyond her expectations that she would meet a guy at the backstage that would make her feel uncomfortable. One of Luciee’s friends had already noticed that the guy was acting strangely towards her. They have only met twice and the guy kept on kissing and hugging even it was against her will – like the guy wanted to have a relationship with her. Luciee felt like she was being harassed as it was the first time, in her entire cos-play life, to have that worst experience. These become traumatic for her and made her feel nervous to attend the next anime cons. She had thought that all of it ended up on that event, but the worst is yet to come. Though she was already embarrassed when the guy kissed and hugged her in front of other people, he even tagged Luciee on her personal account, publicly on Facebook, that made her even more embarrassed because she doesn’t want her relatives to see it. Luciee had hoped that this was really over and she would not experience it again, and sharing this on Facebook brought awareness to the organizers and promised that they would do something to avoid this from happening again. “Naru Edelan, Just wanna say that I am utterly disgusted and am eternally sorry that this happened to you. We as hosts keep reminding the public as you know that cos-play is indeed not consent. Kung nasabi mo agad agad don palang sa stage area, magagawan namin to ng paraan. Pero siguro nung oras na minamanyak ka na, hindi ka na rin siguro makaabsorb ng nangyayari. Salamat at nagkaroon ka ng lakas para ipost to sa public para sa awareness ng hindi lang sa public but also sa organizers of said events. “A tip though, the moment you sense that your privacy is being invaded, listen to your instincts. We try to be the nicest in the cos-comm but we never know, it might be abused. “I wish I offered you security man lang and a hug. But the only thing I can do now is just to prevent this from happening again.